On Monday, April 23, the JMM management team (Marvin, Tracey, Joanna, Ilene and me) piled into Ilene’s car and drove to Philadelphia. We made the trip to visit our colleagues at the National Museum of American Jewish History and at the Eastern State Penitentiary. Both institutions provided engaging and meaningful experiences, and both provided surprises. I will leave some stories for other posts (and maybe other writers), and focus here on what I found the most surprising about Eastern State Penitentiary: its synagogue. The historic prison has a beautifully restored synagogue in its midst. I was surprised when our tour guide first mentioned its existence, and my surprise was only compounded when we stepped into the space. 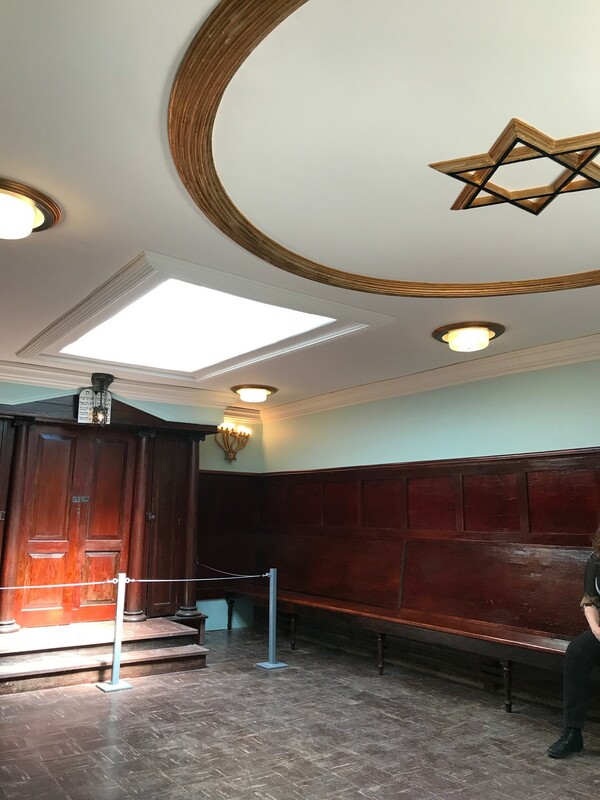 The small room is paneled in a dark wood not unlike our own Rosen-Salganik Board Room, with a simple but decorative ark in one corner and a golden star of David medallion on the ceiling. 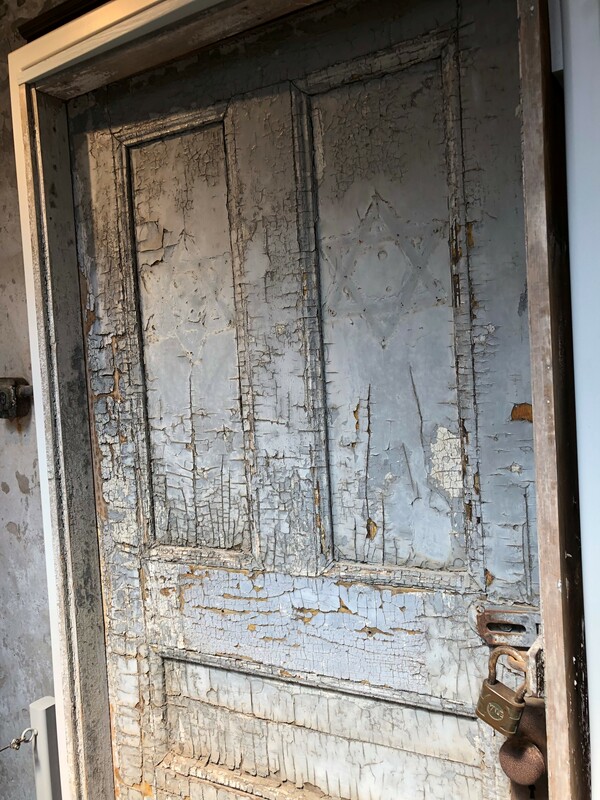 The original synagogue door shows the ghosts of two stars of David that used to adorn it. The space had been built in the early 20th century. “Were there a lot of Jewish prisoners here?” I wondered aloud. Our tour guide informed me that when the synagogue was completed in the 1920s, about 80 of the 1400 prisoners there were Jewish. 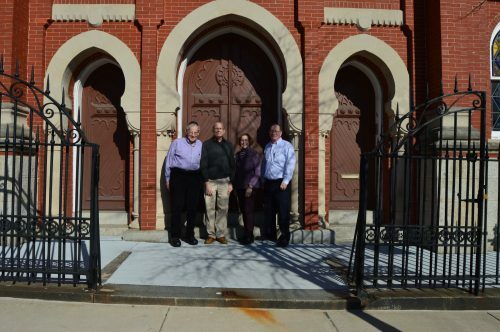 Rather than a pressing demand for Jewish religious expression among the prisoners, the Eastern State synagogue was built by the broader Philadelphia Jewish community. Likewise, the gleaming, restored space was made possible by the contemporary community. Once we had had a chance to take in the space, our guide asked for our help flipping down a long section of paneling. 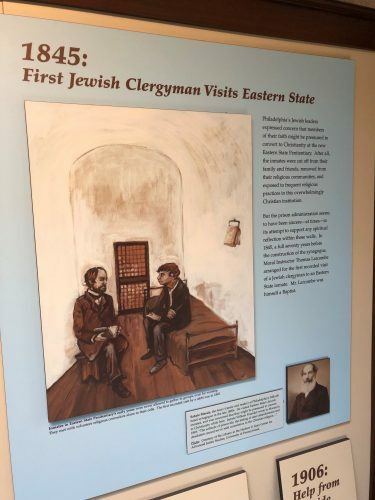 As the section flipped down on a long piano hinge, exhibit panels were revealed, presenting the history of the space and of Jewish life at Eastern State. 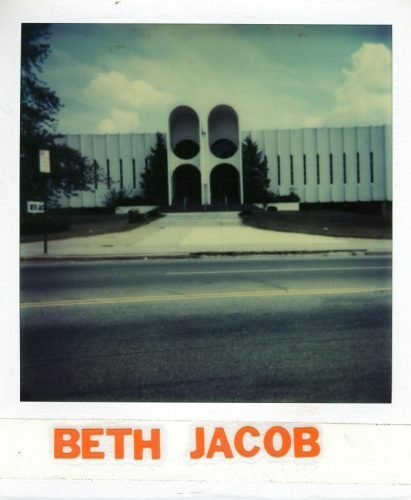 We had fun comparing historical photos to the contemporary space in which we stood, and were all intrigued to read that the first Jewish clergy to visit Eastern State did so in 1845, the same year our own Lloyd Street Synagogue was born. Also on display in the synagogue space was a small crowd-sourced display, Share Your Mitzvah. 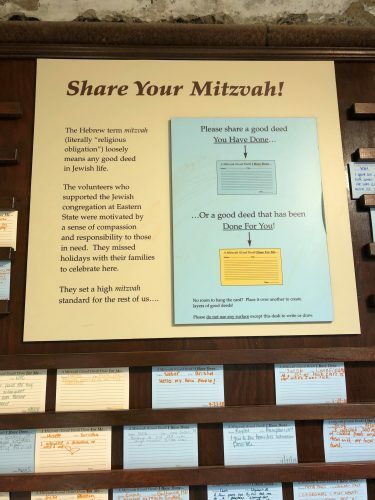 The Eastern State staff created cards that allowed visitors to share mitzvahs done either by them or for them. They’d also created cards for children to draw pictures to share their stories of good-deed-doing or -receiving. I was impressed with both the sentiment of the display and the low-tech efficiency of it. In fact, don’t be surprised if one day in the not-too-distant future JMM asks for similar crowd-sourced reports of good-deed-doings. A Volunteer Field Trip – Right Next Door! One can learn much about a building, but it doesn’t come to life until you have seen it filled with people using it for its intended purpose. On Shabbat, March 3rd, a group of Jewish Museum of Maryland volunteers had that opportunity. 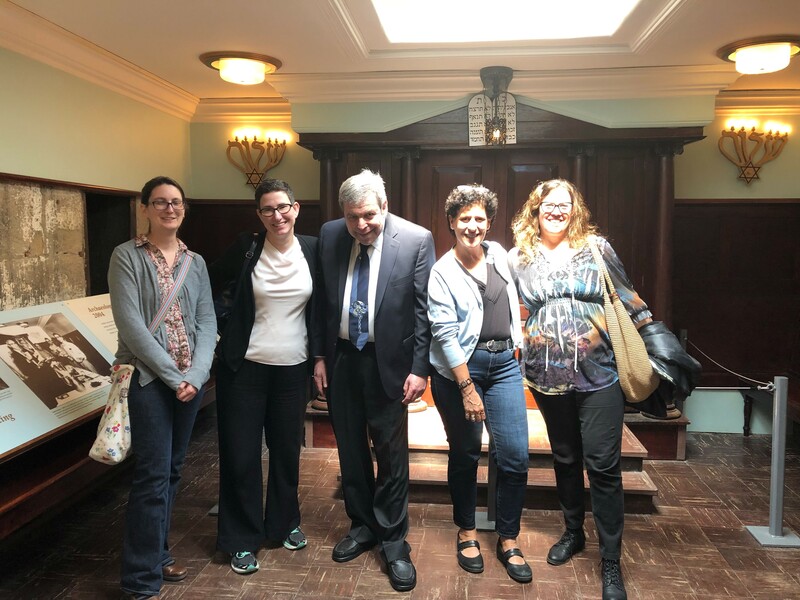 At the invitation of Rabbi Etan Mintz, we participated in the morning service and had a delicious lunch at B’nai Israel, one of the two historic synagogues on the Jewish Museum of Maryland Berman campus. We were warmly welcomed by the congregants and the rabbi. All of our male volunteers who were present at the service were given honors during the Torah service and I had the honor of walking with the Torah in my arms in the women’s section. 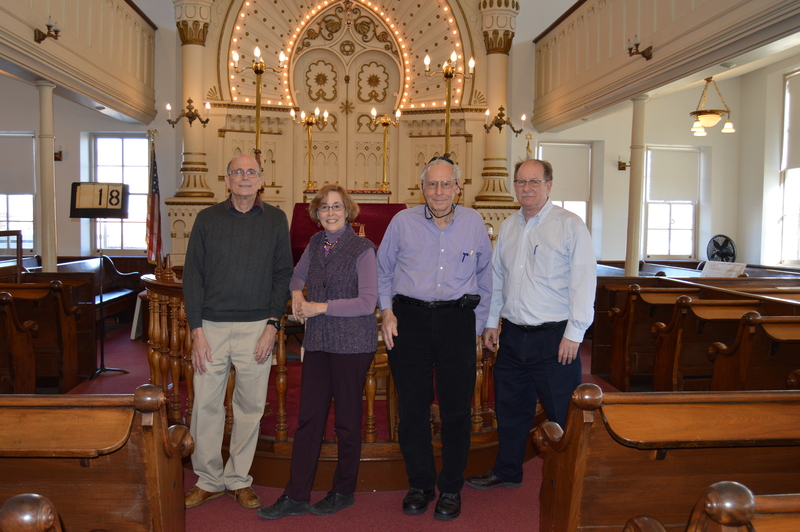 Inside the sanctuary with some of our volunteers, Phil Sagal, me, Marvin Spector, and Larry Levine. Instead of a sermon by the rabbi, after services, Fred Shoken, a congregant who is extremely knowledgeable and passionate about the history of B’nai Israel spoke to the entire congregation using questions we had previously submitted as his general outline. Did you know that when the building was built, Hebrew words were carved in stone above the exterior doorway? 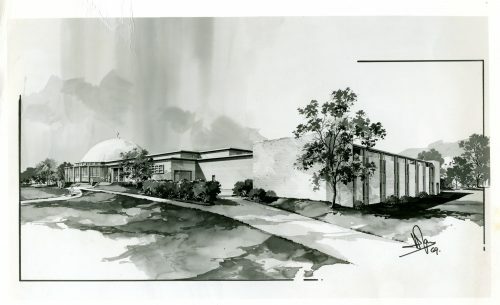 It originally identified that the building was the Chizuk Amuno Congregation and the date of the building. 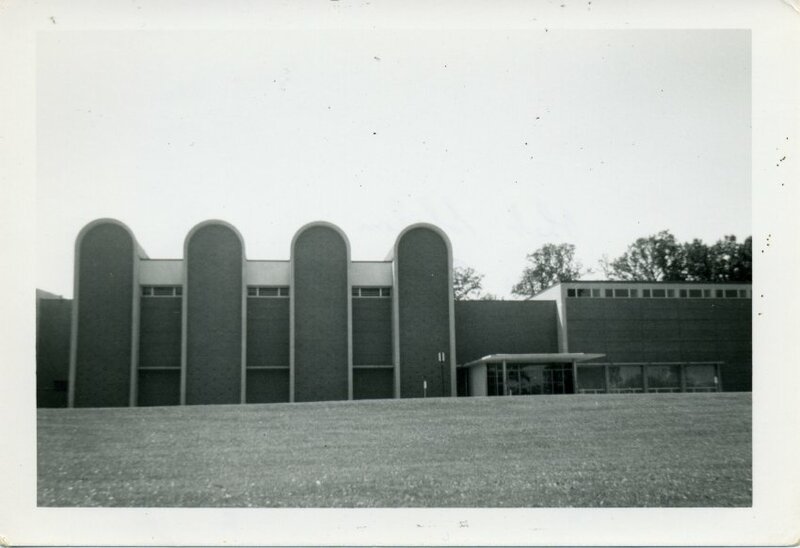 When B’nai Israel moved into the building, the original congregation’s name was filled in and recarved with the name of the new congregation. When the exterior was restored in 1987, some of the filling in of the letters was removed, leaving an overlap of both names. In the sanctuary, all the beautiful woodwork is original except for the mechitzah (the fence separating the men from the women) and the railings leading to the ark. Rabbi Mintz showed everyone interesting historic objects from the congregation’s collection including a list of yarhtzits written on parchment. Typical for synagogues, at the end of the service, the president of the congregation, Shelly Mintz, who is also a JMM volunteer, made announcements. As expected, she included information about upcoming events and services. But her words also expressed how this oldest continuously operating synagogue building in Maryland is still the place of active Jewish involvement.